This castle blends in with any party theme. It’s vibrant colors seem as though they flowed off a pallette. They are guaranteed to brighten any young princesses day. Yet they will not overpower your theme. 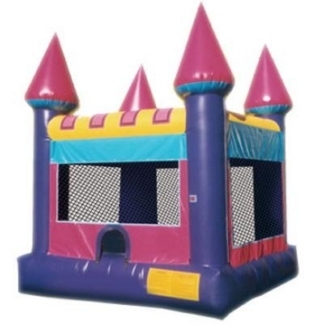 You will feel satisfied you have provided your child with a first class celebration by renting a JumpMaxx Bounce House, Moonwalk.